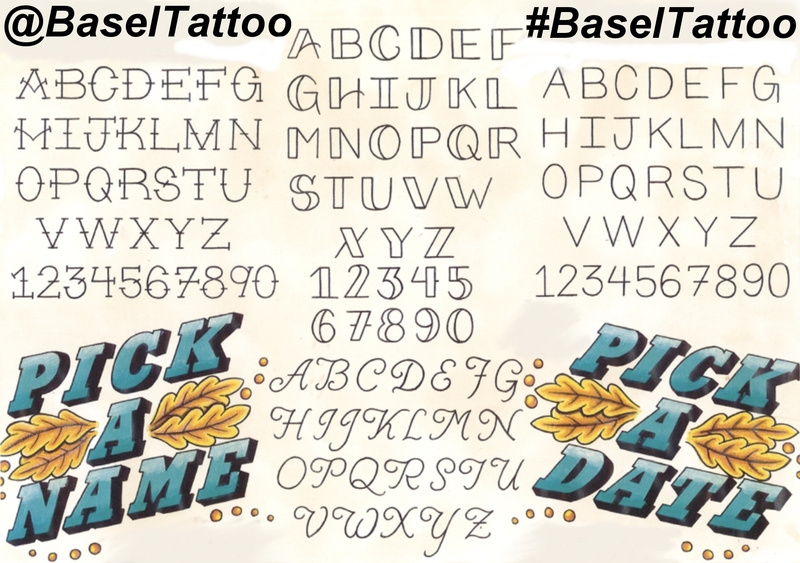 The tattoo artists here at Basel Tattoo Studio are designing names, words and phrases everyday, tattooed names has always been a traditional job in every tattoo parlor across the world. 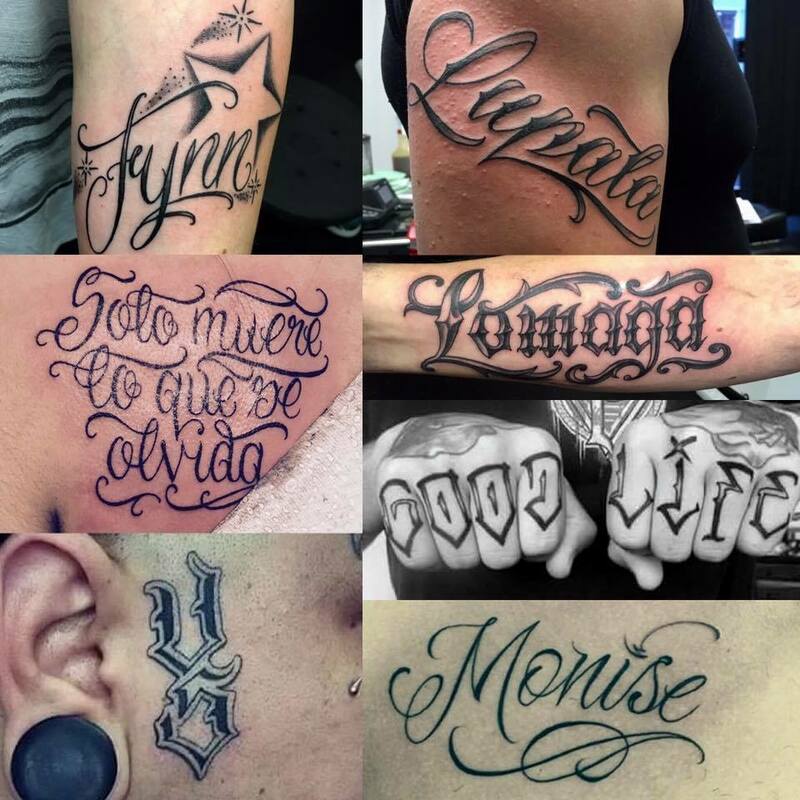 Here is just a few examples of tattoo lettering styles what we have done and recommend most of these to our clients. 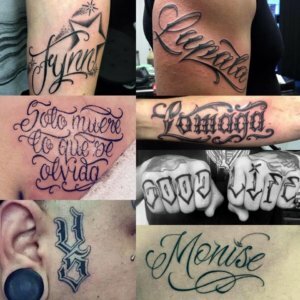 A tattoo is for life and your loved ones name “Sarah” or “Only God Can Judge Me” should be readable for life too. 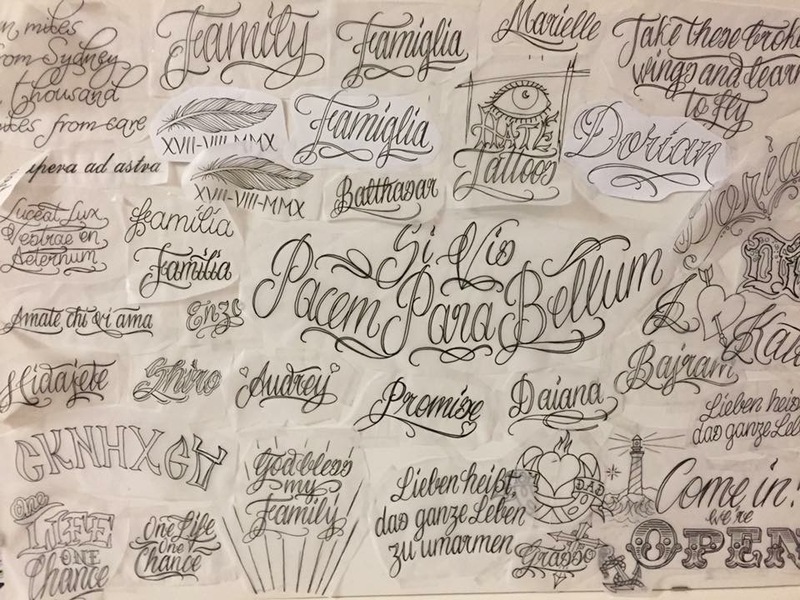 Unfortunately too many people tattoo lettering that is too small and with the time is no longer readable. Yes, itsy bitsy lettering can be done, but within a short time you will not be satisfied with the end result. As professional tattoo artists its our job to inform you of this, sure we can do small stuff but would you not prefer to have a beautiful tattoo for your whole life? 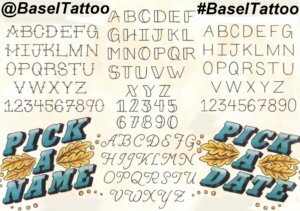 There are many lettering styles that are not suitable for tattooing and with each style of lettering you are required to have the correct size as well. 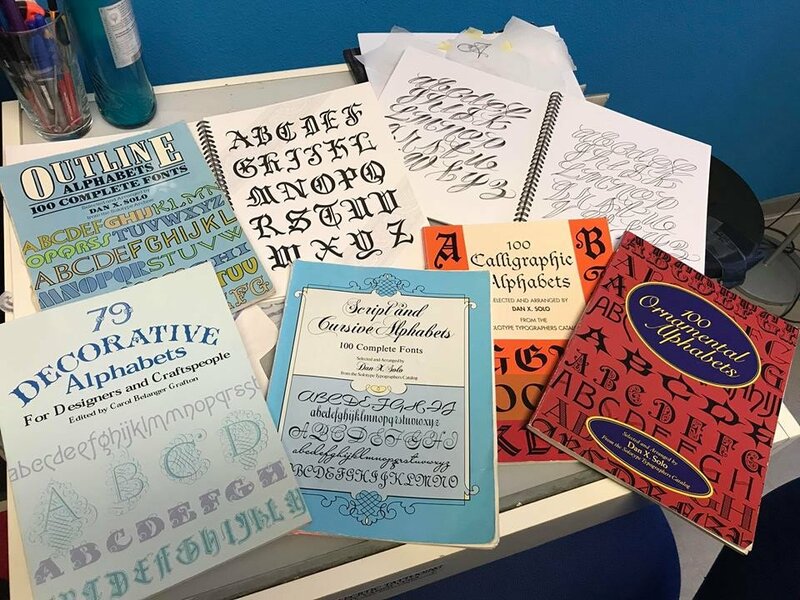 We love drawing lettering designs and as well our library is full of reference material. 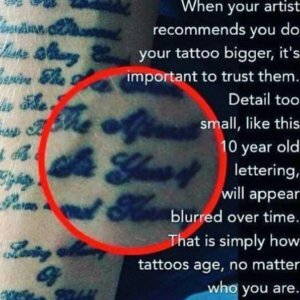 Over the years the ink in your skin moves and if the lines are too close together eventually your tattooed name will be illegible. Lettering that holds up over many years is simple and large enough for the chosen style. 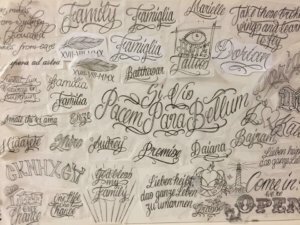 These traditional tattoo lettering designs below are “Made To Stay” , designed just for tattooing names, words and phrases.